NOTE: Race Fit. These jerseys run small. Ordering up a Size Highly Recommended. 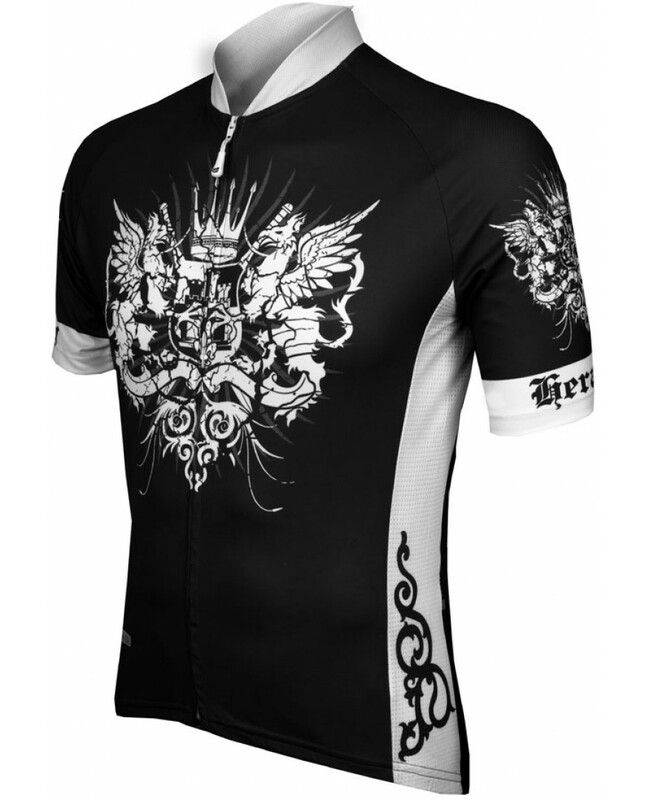 This eCycle Heraldry Mens Cycling Jersey Black is made out of DrySport Wicking Polyester. Keeps you dry and cool. Full Length front zipper. Elastic waist and cuffs. Three rear pockets for storage.